Although the masses and most of the financial media blame hedge funds for their exorbitant fee structure and disappointing performance, these investors have proved to have great stock picking abilities over the years (that’s why their assets under management continue to swell). We believe hedge fund sentiment should serve as a crucial tool of an individual investor’s stock selection process, as it may offer great insights of how the brightest minds of the finance industry feel about specific stocks. After all, these people have access to smartest analysts and expensive data/information sources that individual investors can’t match. So should one consider investing in Symantec Corporation (NASDAQ:SYMC) ? The smart money sentiment can provide an answer to this question. Symantec Corporation (NASDAQ:SYMC) has experienced a decrease in enthusiasm from smart money lately. SYMC was in 37 hedge funds’ portfolios at the end of the third quarter of 2016. There were 38 hedge funds in our database with SYMC positions at the end of the previous quarter. The level and the change in hedge fund popularity aren’t the only variables you need to analyze to decipher hedge funds’ perspectives. A stock may witness a boost in popularity but it may still be less popular than similarly priced stocks. 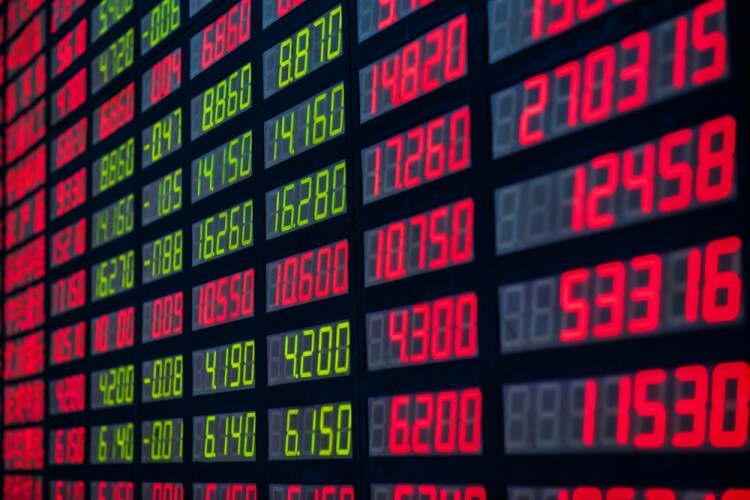 That’s why at the end of this article we will examine companies such as Northern Trust Corporation (NASDAQ:NTRS), TransDigm Group Incorporated (NYSE:TDG), and Noble Energy, Inc. (NYSE:NBL) to gather more data points. How have hedgies been trading Symantec Corporation (NASDAQ:SYMC)? At Q3’s end, a total of 37 of the hedge funds tracked by Insider Monkey were long this stock, down by 3% from the previous quarter. 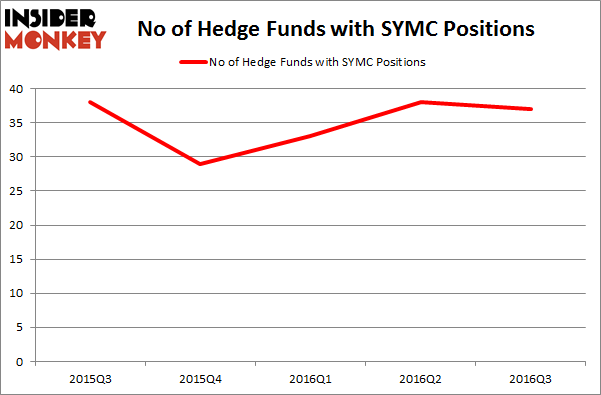 The graph below displays the number of hedge funds with bullish position in SYMC over the last 5 quarters. So, let’s examine which hedge funds were among the top holders of the stock and which hedge funds were making big moves. When looking at the institutional investors followed by Insider Monkey, Paul Singer’s Elliott Management has the number one position in Symantec Corporation (NASDAQ:SYMC), worth close to $301.2 million, accounting for 2.5% of its total 13F portfolio. The second largest stake is held by Andrew Feldstein and Stephen Siderow of Blue Mountain Capital, with a $186.4 million position; 4.3% of its 13F portfolio is allocated to the company. Remaining peers with similar optimism include William B. Gray’s Orbis Investment Management, Jim Simons’ Renaissance Technologies and John Burbank’s Passport Capital. We should note that Orbis Investment Management is among our list of the 100 best performing hedge funds which is based on the performance of their 13F long positions in non-microcap stocks. Is Nordic American Tanker Ltd (NAT) A Good Stock to Buy? Hedge Funds Don’t Think Very Highly of Annaly Capital Management, Inc... Is Liberty Sirius XM Group (LSXMK) A Good Stock To Buy? Hedge Funds Are Still Buying Novanta Inc (USA) (NOVT) Is Northstar Realty Europe Corp (NRE) Going to Burn These Hedge Funds? Should You Avoid Nationstar Mortgage Holdings Inc (NSM)?